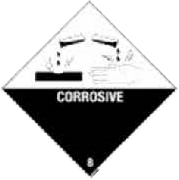 Dangerous materials are goods which, due to their properties, present a potential hazard. These properties (considered dangerous) will not present any hazard in transport, if adequate precautions are taken. The definition of dangerous materials does not only include the literally dangerous goods, such as: acids, explosives or poisons, but also such materials as: magnets, cooling gases, bleach, aerosols and many other materials for everyday use. – by road are set out in the European Agreement Concerning the International Carriage of Dangerous Goods by Road (ADR) by the UN Economic Commission for Europe (ECE). Generally, the dangerous materials are divided into classes and subclasses in accordance with the hazard they present. On the basis of this division there were detailed lists prepared for each type of transport regarding the class or subclass of the materials which may be transported by road or by air and the conditions the individual materials need to meet. On the other hand, the use of the UN system (UN numbers) ensures coherence between the international means of transport, so the shipment may be transported by more than one of them without the need of re-classification and re-packing at the individual transport stages. There are also the general packing requirements and the Packing Instructions drawn up for each type of transport, whose aim it is to ensure the safety of the dangerous materials during transport by air or by road, by means of using the proper packaging in the proper manner. The packaging requirements are valid in any circumstances with some exceptions; the Packing Instructions require mainly the UN certified packaging, but sometimes it is not necessary; for instance, if a Limited Quantity of the dangerous materials is transported, the quantity of the material which may be put in the primary receptacles of one shipment item is strictly determined. It is supposed to minimise the natural hazard presented by the dangerous materials, so that serious body injuries or property damage are avoided if anything happens. Once the dangerous materials have been packed, the shipment items containing them must be marked with the vital information, such as the UN number, and must bear the labels listing all the potential hazards presented by the contents of the shipment. This is to ensure, that the shipment containing dangerous goods is easily recognized and that the potential hazard is transparent without the need to consult the accompanying documentation. 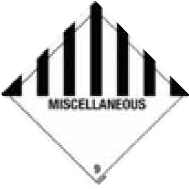 The dangerous goods way bill is attached to the majority of the shipments in order to provide the detailed information about these materials, so that there exists an independent means of shipment identification, if needed. Each time our specialist team is trained on the new regulations, marks and labels and there are regular qualifications and licence refreshment sessions held as well. 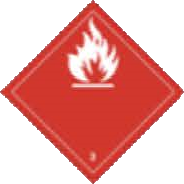 to make sure that all persons involved in the preparation of the shipment have been trained as required so that they can bear the responsibility related to the transport of dangerous goods by air (if the Sender does not have any trained personnel, they can authorise other persons/businesses to represent them and to take over all responsibility for the preparation of the shipment; such persons must be trained as required). observe the shipment requirements and limits. If the Sender classifies the dangerous goods correctly, the transport requirements for these goods will be met. Incorrect classification may lead to improper packaging, marking, loading and information. When are the dangerous goods dangerous? The dangerous materials become dangerous when they get out of the packaging and/or interact with another substance causing a chemical reaction. The dangerous materials become dangerous when they get out of the packaging and/or interact with another substance causing a chemical reaction. oxygen interacts with fats causing spontaneous ignition.